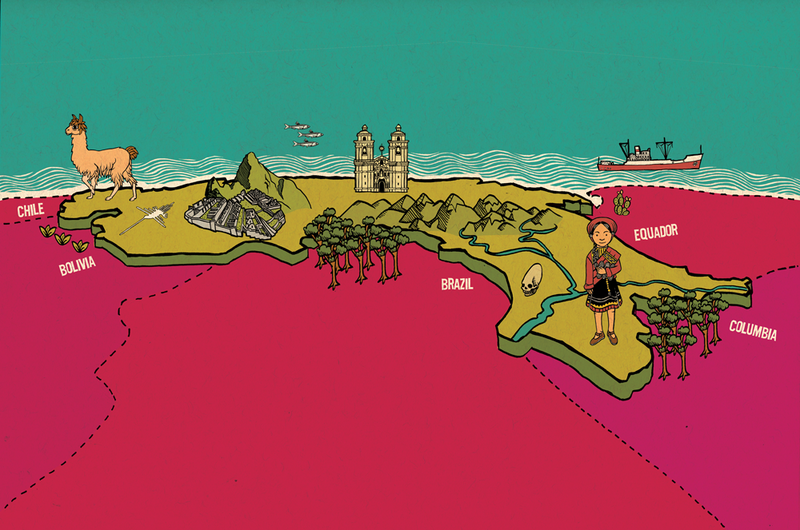 This is a sample I did for an atlas book. I was informed that they did not want so many screaming Inca mummies as the draft. I think that’s a pity. I really like screaming Inca Mummies. I think I may draw one next, or even a screaming Inca Llama Mummy? 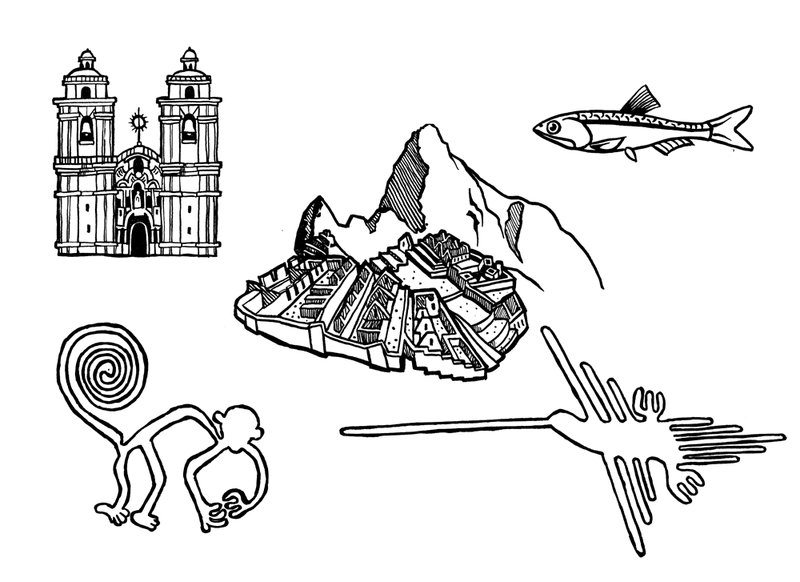 I have included the pre-coloured ink drawings and some that didn’t make it into the final. 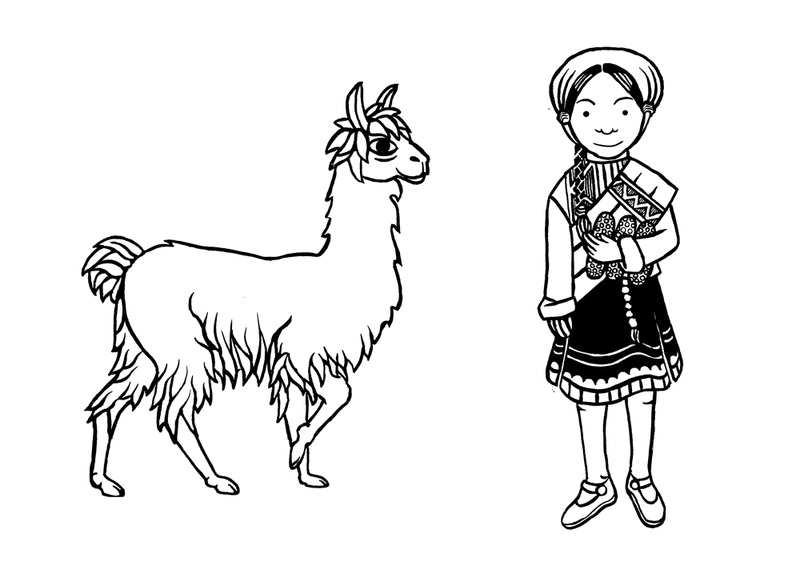 A llama and a girl. 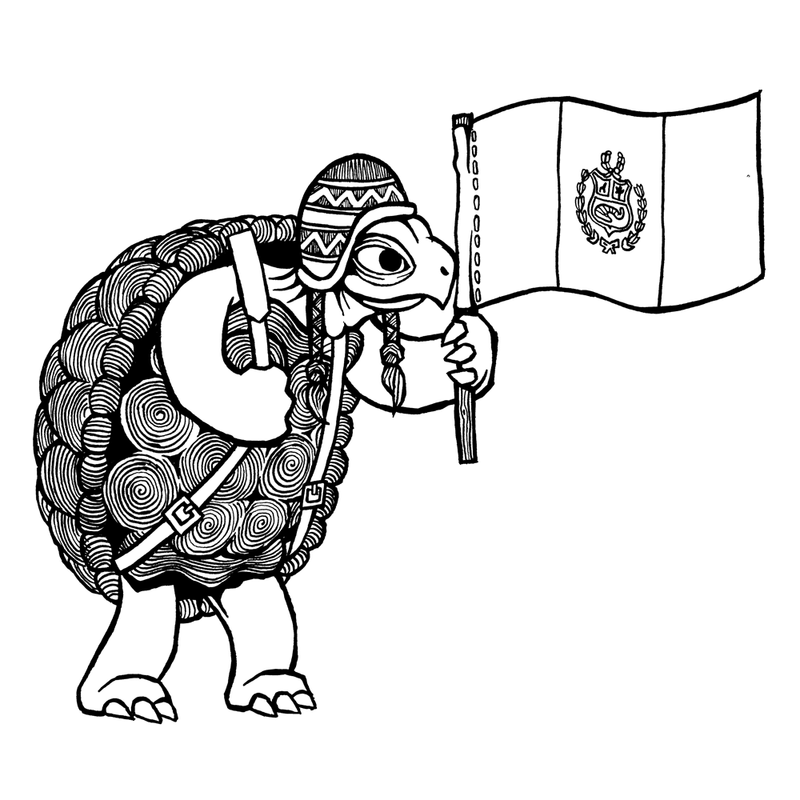 A tortoise waving the Peruvian flag in case you didn’t already know what it looks like. Thankfully it is actually is quite detailed otherwise a black and white image would have been pointless to illustrate a flag.